Whether you tackle the occasional home improvement project or you're a professional contractor, a cordless drill is a crucial part of your toolbox. With that in mind, our team did extensive research to discover the best cordless drills for three key categories – cordless drills for home use, compact cordless drills and professional-grade cordless drills – to help you make an informed purchase decision. For each product selected, we outline the specifications, key features and other considerations. If you're not sure what features you want or need, check out our buying guide below to learn more about cordless drills, including battery types, motors and more. Read more about our methodology. The Makita XHP102 is a powerful, versatile drill that can tackle jobs both at home and on the worksite. Lightweight with an ergonomic design, quality build and superior performance – all at a very reasonable price – this drill is our recommendation for best option on the market. The Black & Decker LD120VA ranks high for performance, quality and value. 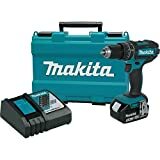 It has many of the features you see in more expensive drills, such as a Li-ion battery and multiple clutch positions, at a fraction of the price. An included accessory kit makes this even more of a value. If you're looking for a drill that is great for tackling jobs around the house, the DeWALT DC970K-2 is our top pick. It offers a combination of power, performance and longevity that competing models aspire to, all at a reasonable price. If you're looking for a compact cordless drill that packs plenty of power, we recommend the Bosch PS31-2A. This feature-rich drill (including onboard battery charge gauge and LED guide light) is one of the lightest and smallest on the market, and it has a size-to-power ratio you won't find in other compact models. A 2-in-1 drill and impact hammer, the DeWALT DCD985M2 provides the power and versatility to take on even the toughest jobs. This high-performance model is durable and has the features you expect in a premium product, such as all-metal transmission and powerful 20-volt batteries. There are two main types of batteries: Lithium-ion and Nickel Cadmium. Lithium-ion (Li-Ion) batteries cut down the overall weight and bulk of a cordless drill while running longer and recharging faster. However, Li-Ion batteries can be damaged if completely depleted of power. They are also accompanied by a heftier price tag than other battery types. Nickel Cadmium (NiCd) batteries still make up a large portion of the cordless drill market. With good performance and lower cost, NiCd batteries create a balance when looking for a decent drill at a lower price. NiCd batteries must be disposed of properly as the cadmium can seep into groundwater. It's worth the money to buy a cordless drill that already comes with two batteries so that one battery can charge while the other is in use. Extra batteries can often be as expensive as the drill itself. Motor power is measured in voltage with 12-volt cordless drills being suitable for light use and tightening jobs. For larger projects, 18-20-volt motors work best. They can handle tougher materials, larger bits, and longer fasteners. Big jobs are going to need 1500 rpm or more. Brushless motors provide higher rpm using less electricity, giving longer battery life and greater power. An adjustable clutch allows for a larger variety of jobs to be done with the same tool. Cordless drills with adjustable clutch speeds will help prevent a screw from driving too deeply or quickly, or becoming stripped. Most cordless drills have at least two speeds with many models having 20 or more clutch settings for fine tuning. The chuck, the portion of the drill that holds the bit, should hold the bit securely with no wobble. Be sure to check chuck size before purchasing as it can vary from ¼ inch to ½ inch, depending on the drill. Keyless chucks have three or more metal prongs that grip the bit. They can be tightened and adjusted by hand. Hex chucks are an innovative design that makes changing bits fast and efficient. They also work well for jobs that put extra stress on the bit such as driving long screws or working in materials like concrete. However, hex chucks only work with hexagonal bits. 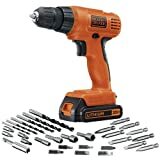 For $50 or less, you can get a basic 12-volt cordless drill with one battery. 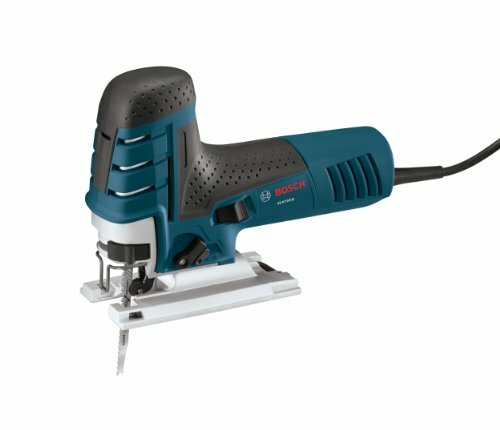 Budget cordless drills are typically made of lower quality materials and do not have the same power and battery life as more expensive models. Drills in the $100-$250 range have good durability and can be anywhere from 18-24 volts. In this price range are compact and full-sized drills that would satisfy the needs of most homeowners and those that do larger DIY projects. 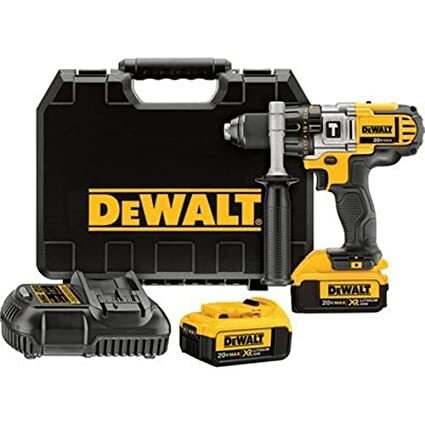 Many come as a set with an impact driver and other accessories. At $250+, are pro-grade models suitable for regular heavy use by contractors and construction workers. 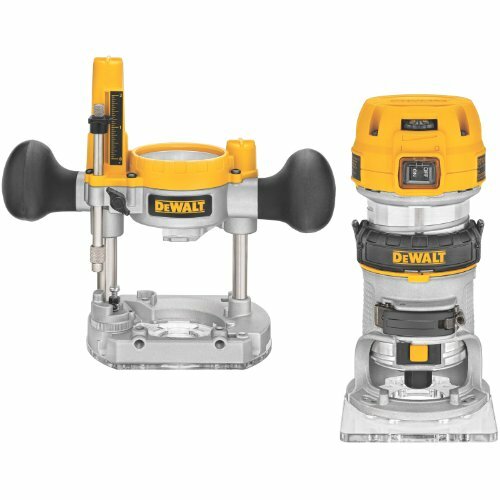 Cordless drills in this range can reach prices of $500 or more. They are larger with a heavier build and extra features like additional handles to be used when working with high torque in tough materials. Many have three speeds and up to 24 clutch adjustments. The Makita XHP102 is a full-size cordless drill with an 18-volt Li-Ion battery. It comes with extreme protection technology (XPT) that provides added resistance to water and dust during harsh conditions or treatment. At 7 ¾-inches long, it can still fit in most tight spaces. Weighing in at only 3.9 pounds, it can help prevent fatigue. Battery lasts long and charges quickly. The 18-volt lithium-ion battery can go longer without a charge and adds less weight to the drill than NiCad batteries used in other drills. The battery recharges in less than an hour. Powerful and rugged. Users say the drill's 4-pole motor, rated for 480 in. lbs. of maximum torque and 1,900 RPM, delivers enough power to do a wide variety of jobs. And the tool is built to last, with all-metal gear construction and protection against overloading, over-discharging and overheating. Compact and lightweight. At less than 4 pounds, the XHP102 is lighter and more compact than similar drills. 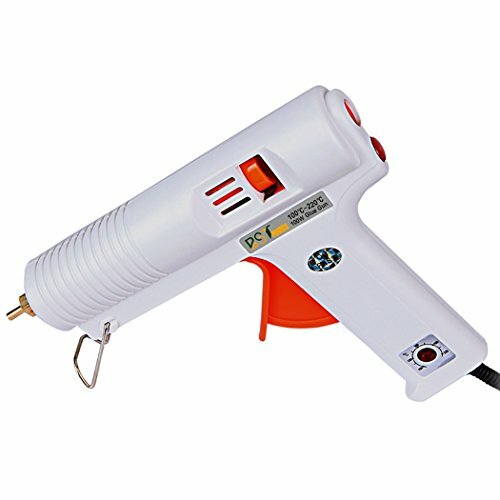 Users also appreciate the drill's ergonomic design and soft, rubberized grip. Hard case has plenty of room. 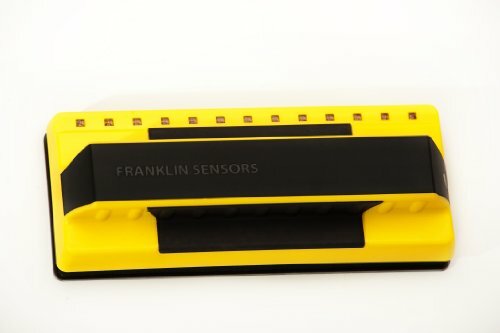 The hard, plastic carrying case is roomy enough to hold bits and screws, along with the drill and components, according to users. Guide light great for dark spaces. Many reviews call out the built-in dual LED lights as a major plus. No magnetic screw holder. The XHP102 has no magnetic screw holder, a convenience feature that is common in other drills. Includes just one battery. Purchasing a second battery will allow for work to flow uninterrupted, but they can be pricey. Reports of wobble. A small handful of users say they experienced some run-out (wobble in the bit) when using the drill. The LD120VA is a utility player ready to take on all kinds of light- to medium-duty tasks around the home. 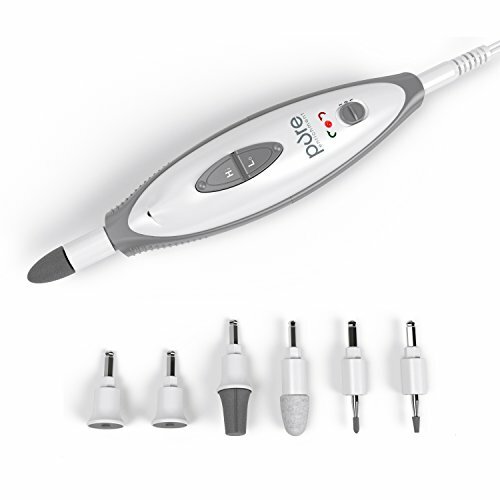 It comes with a set of 30 drill and screwdriver bits, 20-volt Li-ion battery and charger – and the battery holds a charge for months, so the drill is always ready for use. Perfect for around the house. Many reviewers say the LD120VA – with 24 clutch positions, up to 750 RPM and up to 300 in. lbs. of torque – performs well for an array of common household applications, such as hanging blinds, assembling furniture and drilling holes. Comes with a variety of bits. 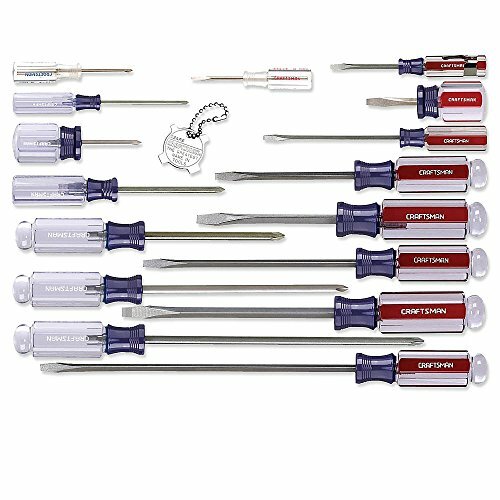 In addition to the battery and charger, this set comes with 30 drill and screwdriver bits so you can get started on projects right away. Li-ion battery holds charge for months. According to the manufacturer, the included Li-ion battery holds a charge for up to 18 months. Users confirm that the battery does hold a charge for months, so it's always ready for any task that pops up. Made for light to medium duty. If you plan to tackle more challenging tasks, such as drilling into concrete, you'll need to consider a more rugged model. Some users reported that the LD120VA lacked the power they were looking for. Lacks LED guide light. The LD120VA is not equipped with a LED guide light, a feature common to cordless drills. Home projects can range from building a bookshelf to remodeling a bathroom. Drills in this category have the settings for smaller jobs with the power for an occasional big project around the home. 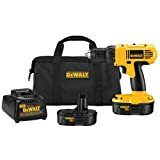 A full-size drill maybe needed for those that do larger construction projects around the home while a powerful compact drill maybe more useful for those who do smaller projects or know they’ll be working in tight spaces. Drills in this category start at 18-volts, giving them more power and speed. 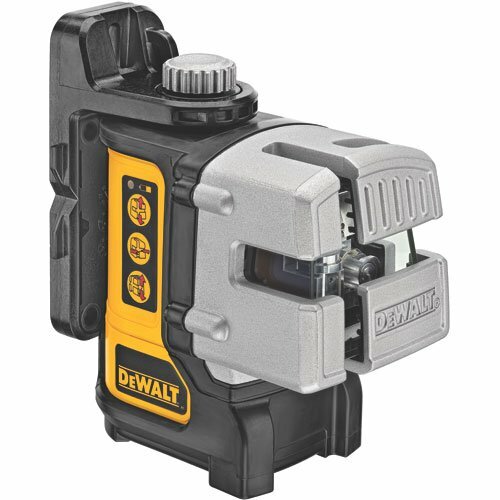 The DeWALT DC970K-2 is an 18-volt drill that provides power with excellent battery life to get through many home projects. It comes with two batteries meaning workflow won’t be interrupted for battery charging. Accurate torque settings make it easy to adjust to prevent splitting materials. The NiCd batteries may add a little weight but they are durable and hold a charge well. Plenty of power for household jobs. With 17 clutch settings and up to 1,500 RPM, the DC970K-2 can handily complete most any home project with ease. Many reviewers report that the drill has given them years of use. Includes two batteries. This set comes with two batteries and a charger so you never have to stop working to recharge. 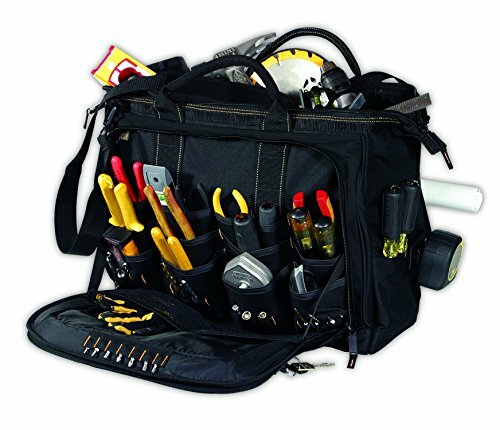 A carrying bag big enough for the drill, batteries and charger also is included. Good for tight spaces. Even with its ample power, the DC970K-2 is compact and well-balanced compared to some similarly powered drills and is relatively lightweight – 4.7 pounds – making it a great choice for jobs in tight spaces and for users that experience hand or wrist fatigue. Noisier than other drills. Some users report that the DC970K-2 produces more noise when being used than other drills. Uses NiCad batteries. NiCad batteries are heavier than newer Li-ion batteries and may need to be charged more often. But this set comes with two, so one can be used while the other is charging, which takes one hour. Compact cordless drills have become more popular than ever as new battery design has made them as powerful as some full-size drills. Their small size and lightweight helps to reduce user fatigue while allowing easy access to tight spaces. For those that carry a cordless drill with them all day, a good compact drill will take up less space and still provide the necessary power to get through many different jobs. Weighing in at just over two pounds, the Bosch PS31-2A is among the lightest cordless drills available. Fueled by a 12-volt Li-ion battery, the drill's two-speed motor delivers up to 1,300 RPM with the power to tackle light- to medium-duty jobs. The compact, 7-inch head allows for easy maneuverability in tight spaces and overhead work. Added features include a LED light that turns on when you pull the trigger and a battery charge indicator on the drill. Super lightweight and compact. The Bosch PS31-SA weighs just a hair over two pounds, making it one of the lightest cordless drills on the market today. Older users and users with conditions, such as arthritis, say this tool has empowered them to tackle various home improvement tasks despite their inability to wield a more cumbersome drill. Impressive power-to-size ratio. Despite its small size, the PS31-SA packs a lot of power, with a two-speed motor that delivers up to 1,300 RPM and 265 in. lbs. of torque. Users report driving screws of up to 3 inches with ease. Comes with two Li-ion batteries. Li-ion batteries are lighter and provide more runtime than the NiCad batteries used in other drills. This unit comes with two batteries and a charger – charge time is 30 minutes – so you'll never have to stop working to wait for a recharge. And there is a battery charge indicator on the drill to let you know when to swap in a new battery. Not for heavy-duty jobs. This drill has a lot of power for its size and weight, but it's still not suited for heavy-duty jobs. Difficulty with battery release. The battery is released by pressing two tabs on the grip. The most common user complaint about the PS31-SA is that the tabs are difficult to press, which makes battery removal a chore. Professional-grade cordless drills can come with a heavy price tag. Many come as part of a kit that includes an impact driver. Many have all-metal transmissions, making them highly durable for the rigors of a construction site. Brushless designs will provide the most power for the size of the battery. The power and torque on these full-sized drills should be able to handle the toughest of materials like concrete and different metals. Contractors or construction workers will need the power and durability of drills in this category. The DeWALT DCD985M2 MAX Premium Hammer/Drill is a 20-volt cordless drill that has powerful torque for heavy jobs and tough materials. A three speed all-metal transmission moves fast and may require the use of an additional handle for stability. With two batteries and an excellent battery life, this drill will help power through a day for the pro-builder. Professional-grade power and durability. With three speed settings, 22 clutch settings and an all-metal transmission, this drill delivers up to 2,000 RPM. Users report drilling through concrete, rock and thick ice. Uses powerful Li-ion battery. The DCD985M2 is fueled by a 20-volt Li-ion battery. The set comes with two batteries – covered by a three-year warranty – and a charger, so you can work without delays. Batteries have a charge-strength indicator that lets you know when it's time to swap in a new battery. 2-in-1 hammer/drill combo. This hybrid can be used as a drill or impact hammer giving it added versatility. The lateral handle can be attached at any position. LED light has delay. A LED light illuminates your work area when you pull the trigger, and the light remains on for 20 seconds after the trigger is released. Lights on other models shut off immediately, leaving users in the dark. On the heavier side. Weighing more than five pounds, the DCD985M2 can start to get heavy during extended use. May take time to master. While users love the power this drill provides, it does take time to master it. Using too much torque can damage materials and possibly create a safety hazard to the user.